The Authorship of Ecclesiastes and Song of Solomon Archives | "I am Alpha and Omega, the beginning and the ending" (Rev 1:8)..
We should be open to God. We should be ready to listen and not be so hasty to dictate what we want him to do. Solomon believed that it was not wise to make a vow to God and not keep it. 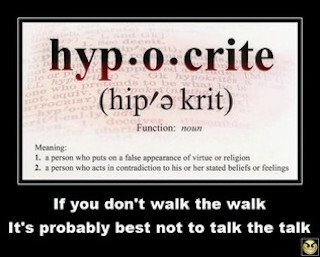 It’s better to not make a vow than to make one to God and not keep it. Solomon says that riches are meaningless. People who obsess over it never find the true happiness that it promises. Loving money leads to sin. Don’t depend on money to make you happy. Instead, use what you have for the Lord. 2 Be not rash with thy mouth, and let not thine heart be hasty to utter anything before God: for God is in heaven, and thou upon earth: therefore let thy words be few. 12 The sleep of a laboring man is sweet, whether he eat little or much: but the abundance of the rich will not suffer him to sleep. 16 And this also is a sore evil, that in all points as he came, so shall he go: and what profit hath he that hath labored for the wind? Gilgamesh was an ancient ruler of the city of Uruk in the land of Sumer, Mesopotamia. Gilgamesh is described as a hero and a demigod who possessed superhuman strength. 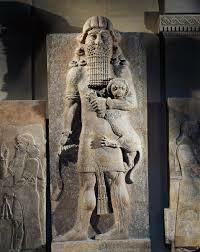 Gilgamesh was believed to be two-thirds God from his mother, the goddess Ninsun, and one-third human from his father, the former king of Uruk Lugalbunda. Historical evidence suggests that Gilgamesh built the city walls of Uruk to defend his people. 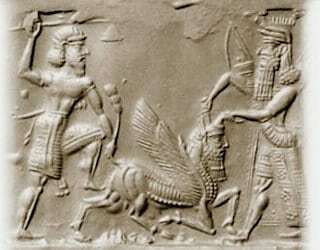 Gilgamesh fought against the demon Humbaba (or Huwawa), along with his former enemy Enkidu. After killing the daemon, they brought his head back to Uruk on a raft, built from massive trees. Gilgamesh and Enkidu also defeated the Bull of Heaven sent by the furious goddess Ishtar after Gilgamesh refused to become her lover. The Gods in The Epic of Gilgamesh were actively involved in human lives. People called for Gods help, when they were in danger. And right at the beginning of the epic, we see how they asked Gods to help them to control Gilgamesh, when he was brutally taking advantage of his position towards Uruk’s citizens. Then we see how Shamash helps Gilgamesh and Enkidu in the bottle with Humbaba, and how Gods get mad at Gilgamesh and Enkidu for killing Humbaba and The Bull of Heaven and punish Enkidu with sickness and death. Creating the flood to destroy human lives and to wipe out all of humanity from the Earth, also shows how gods can be involve in human lives and do what fits them better. And this clearly shows that the Gods don’t value human life. 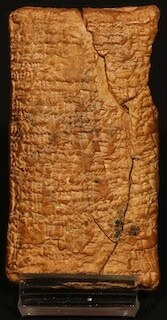 When Gilgamesh rejects Ishtar’s offer, to be his lover, and insults her, she punishes him for his bad manners. Gilgamesh ends up paying very high price for his bad behavior. p of Ecclesiastes and Song of Solomon (also called Song of Songs). This is largely due to the unusual nature of the Hebrew used in these books. The two employ similar vocabulary, suggesting a common author. Further, a number of Biblical Hebrew words occur only in these two books, and others appear in higher frequency in these books than in others. Neither uses God’s personal name, Yahweh, as is so common in other books. Although Ecclesiastes doesn’t name Solomon, its description of the author as “a son of David, king in Jerusalem” (1:1; cf 1:12) leaves little room for other conclusions. The association with Solomon is strengthened by 12:9, which describes the author as a wise man who “pondered and searched out and set in order many proverbs” (cf 1 Kgs 4:32). I communed with mine own heart, saying, Lo, I am come to great estate and have gotten more wisdom than all they that have been before me in Jerusalem: yea, my heart had great experience of wisdom and knowledge. The declaration of the above scripture is meaningful when we remember that Jebusite kings had ruled over Jerusalem since ancient times. Other objections to Solomonic authorship have been raised on the basis of language. The high number of Aramaic words in Ecclesiastes has been considered evidence of a postexilic date of writing. It is now recognized, however, that Aramaic influence on Hebrew began very early. Moreover, the vocabulary identified as Aramaic may actually have represented a northern dialect of Hebrew or a nonstandard, colloquial dialect. Some words in both books were once alleged to have been borrowed long after Solomon’s death from Persian or Greek. Examples include pardes (“park” or “orchard” in 2:5 and SOS 4:13, respectively) and appiryon (“carriage” in SOS 3:9). In reality, such words are of very ancient origin, some going back to Sanskrit originals. Solomon’s commercial projects (see 1 Kgs 5; 9:26-28; 10:22) involved numerous international contacts, a possible explanation for the international vocabulary. That you may live for ever! Spurn property and save life! Let someone (else) twist the fronds and palm-fibre for you! And I poured 3,600 (sutu) of ittu-bitumen within. …(= I completed the mixture). These quantities are enormous, enough palm-fiber rope, wooden ribs and stanchions to build a coracle 3,600 square meters in area, almost two-thirds the size of a soccer field, with walls 20 feet high. If the amount of rope described here were laid out in a single line, it would reach from London to Edinburgh. The vats of bitumen were necessary to waterproof a boat whose hull is, after all, made of rope. The mention of numerous varieties of flora and fauna is consistent with Solomon’s interest in natural history (1 Kgs 4:33). The Song’s spectacular vocabulary for exotic spices and other vegetation, as well as for gold, alabaster and jewels, suggests that the book was written by someone familiar with these thigns. It’s improbable that both Ecclesiastes and Song of Solomon were written during the postexilic period, when Jerusalem was a poor backwater town among the nations of the world, by no means awash in exotic spices and precious stones. Finally, literature parallels and allusions in both Ecclesiastes and the Song of Solomon suggest an earlier rather than a later date for their composition. 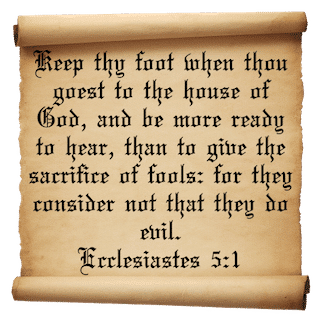 Ecclesiastes 9:7-9, for example, strongly resembles Tablet 10, section 3, of the Epic of Gilgamesh, where the hero is urged to enjoy life, wear clean clothing and enjoy his wife’s love. In addition, the love poetry of the Song is similar to Egyptian poetry of this genre that flourished in the late second millennium B.C. it is likely that Solomon, at the height of Israel’s power, would have known this literature, but quite unlikely that obscure post-exilic writers would have been familiar with it or expected their readers to appreciate it.